I'd seen this animation a long time ago and came across it again. The description on YouTube is: "Pringle of Scotland has commissioned artist David Shrigley to create a humorous short animated film about life behind-the-scenes at Pringle to celebrate the brands return to Milan Fashion Week. The animation showcased during Pringle of Scotland's menswear show in Milan on 18th January [2010? ], depicts the making of jumpers and cardigans over the past 195 year history of the Scottish brand." Last weekend I was in Denver and had a VERY good time. It's always nice to see my friends and spend time with them. On Saturday three of us made a road trip north to The Loopy Ewe in Fort Collins. 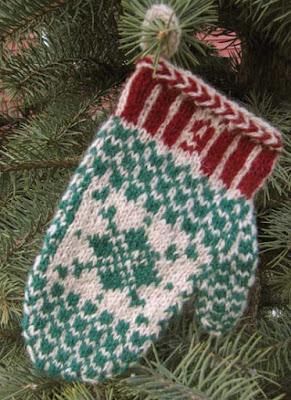 Their monthly yarn offering for June was "Lake Dillon" by Socks That Rock. Isn't it pretty? I was lucky enough to spend some relaxing vacation time at Lake Dillon when I lived in Colorado. These colors are a good representation. I haven't decided what to make with the yarn. I don't know whether to make socks or a scarf or something totally different. For now, the yarn is just going to be admired. It's not like I don't have any other knitting projects to work on in the meantime! 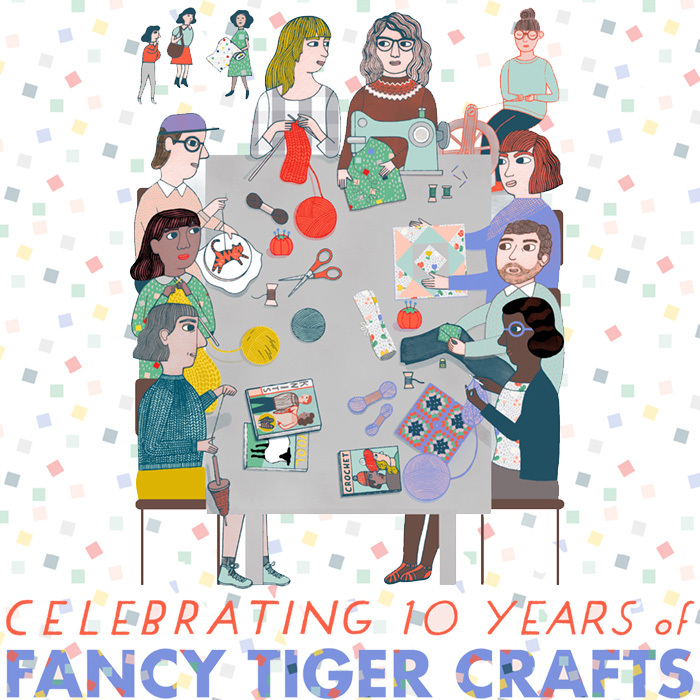 We had planned to visit Fancy Tiger in Denver first thing on Saturday morning. They were celebrating their 10th Anniversary. However, there was a line down the street and around the corner. Some people must have lined up very early as they had lawn chairs and were knitting. Part of the draw to the shop, too, was a visit by Stephen West. We passed on an early morning visit but did drop in later in the afternoon. Carrie Bostick Hoge. The yarn, Junegrass DK, is surprisingly soft. It was a pleasure to meet the people from the company. I've got the yarn and plan to have the sweater finished to wear this fall. I only plan to make one small change to the pattern. I don't mind the slit in the side but will make it shorter than it's shown in this picture. I also like that the back is longer than the front - very practical when bent over a computer. 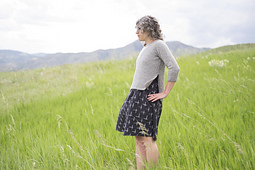 This pattern is designed for Junegrass DK, a small batch yarn entirely grown and milled in Colorado. It is a soft, lofty blend of white Merino/Rambouillet cross wool and dark grey Wensleydale wool, blended together for the perfect natural heather grey. On Sunday evening was the Gladys Knight concert at Hudson Gardens. It was so pleasant to sit in a lawn chair and listen to beautiful music, even if it was 104F for the first part of the evening. Don't tell me that it's a dry heat....it was hot! It did cool off and there was a slight breeze a little later. 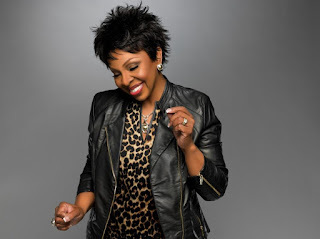 I always knew that Gladys Knight can sing, but she CAN SING! For almost an hour and a half she sang and talked to the crowd. There was even an opportunity to stand up and dance and be a Pip! I wouldn't hesitate to go to one of her concerts again. Good things are continuing. After Shetland Wool Week this September, myself and two friends decided to spend a few days in London. By coincidence, it's at the same time as the Knitting and Stitching Show at Alexandra Palace, also known as "Ally Pally". Tonight I got my ticket to the Show. Also planned is a visit to Loop for their knit night. I'm looking forward to some travel next week....back to Denver to see friends, do some knitting, take a road trip and listen to some music. It doesn't get much better than that. The road trip will be to a favorite destination: The Loopy Ewe yarn shop in Fort Collins. It big, spotlessly clean and well-stocked with all kinds of temptations. The four of us always claim that we don't "need" anything, but manage to find something that we can't live without anyway! Before that, however, will be a visit to another favorite shop: Fancy Tiger in Denver. It's celebrating it's 10th Anniversary. How time flies. I remember when it opened. It's a unique shop with a bit of everything for the knitter or sewer. It's got a charm that is irresistible. I took an excellent dyeing class there a few years ago. For music, it doesn't get much better than Gladys Knight. She'll be performing at Hudson Gardens. I've looked at the long-range forecast and the weather looks like it'll be good. Here's hoping that the report is correct. [Still on my bucket list is a visit to Gladys Knight's restaurant in Atlanta]. 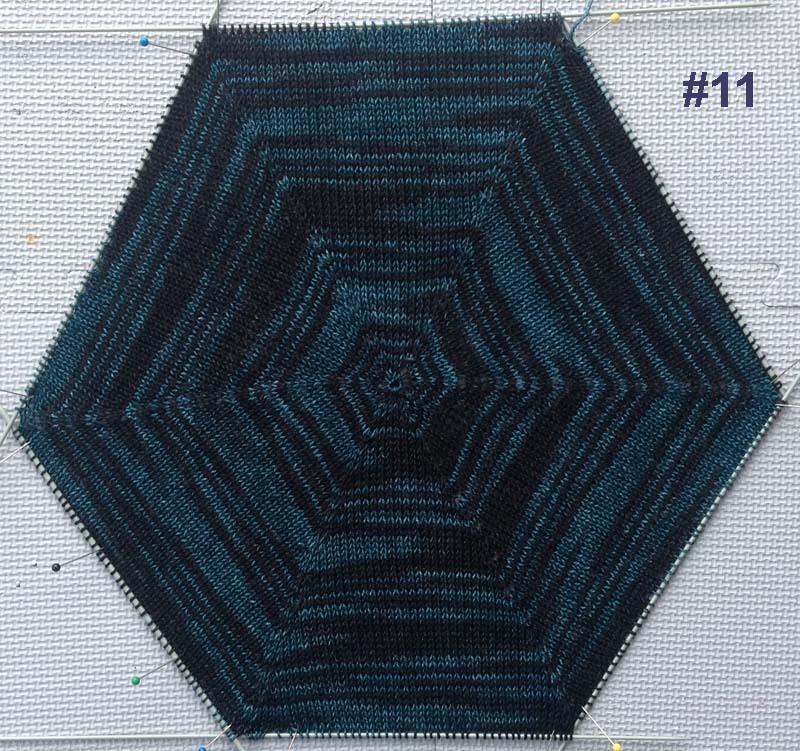 Another finished project - this time it's a block for my Travel Afghan.. The trip was to Savannah, and Tybee Island, Georgia, favorite destinations. Copper Corgi yarn is from a local Savannah dyer, Sarah DeRoo. Purchased at The Frayed Knot in Savannah. Notes: A very small amount of dye came off while knitting, but not enough to worry about. I soaked the hexagon in a vinegar bath and there was no dye came off in the water. 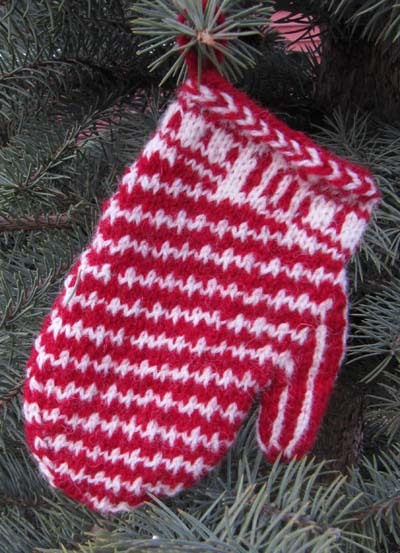 The yarn is very soft and feel good to knit with, and even better after the wash.